Forget the Final Fantasy-esque logo, upcoming adventure game Time Travelers is a rare beast. The game is coming to the Nintendo 3DS, the PlayStation Vita, and the PSP. That's a buncha handheld platforms! Recently, a pair of screens for the PS Vita and 3DS versions of Time Travelers popped up online. Unfortunately, a screen for the PSP version did not rear its head, but the PS Vita and 3DS snaps do allow us to compare Sony's and Nintendo's current gen handhelds. 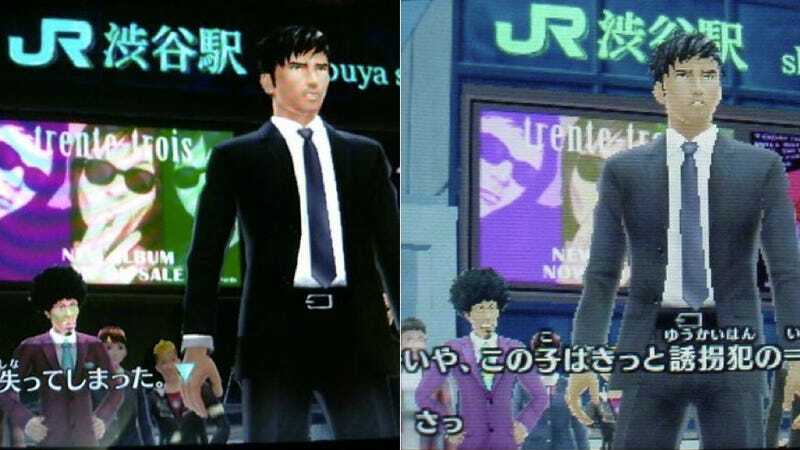 Yes, the PS Vita version looks better. That's not interesting. What is interesting is the comparison itself: these are screen snapshots. They're not as pretty as you'd get from direct screenshots, but perhaps they provide a valid comparison of actual play conditions. The 3DS version has a more jaggies, sure, but the gap isn't nearly as big as it was during the last handheld generation between the PSP and the DS. Check out the screens for yourself.